If you want a memorable trip, then you should go New York State. It is a very interesting place because there are many points to visit. But for this, you will need the State map of New York and some information about New York. Here we are providing you some map of New York, it will definitely help you to guide in your travel, a beautiful picture of New York State also available here with some information of New York State. It is a very awesome place having beautiful lakes, buildings, parks, colleges, museums, mountains and many other historical places. Mainly New York is famous for Statue of Liberty. This statue attracts thousands of the visitors in every year. In the New York State, the rose was adopted the state flower in 1955. Roses are soft, fragrant flower with thorny stems. They grow in bushes and they are seen in many gardens. The sugar maple syrup made from sap stored in its trunk. Its leaves are pointed and turn bright color in the fall. The sugar maple was adopted as the State tree in 1956. The bluebird was adopted as the State bird is one of the first birds to return North each spring. 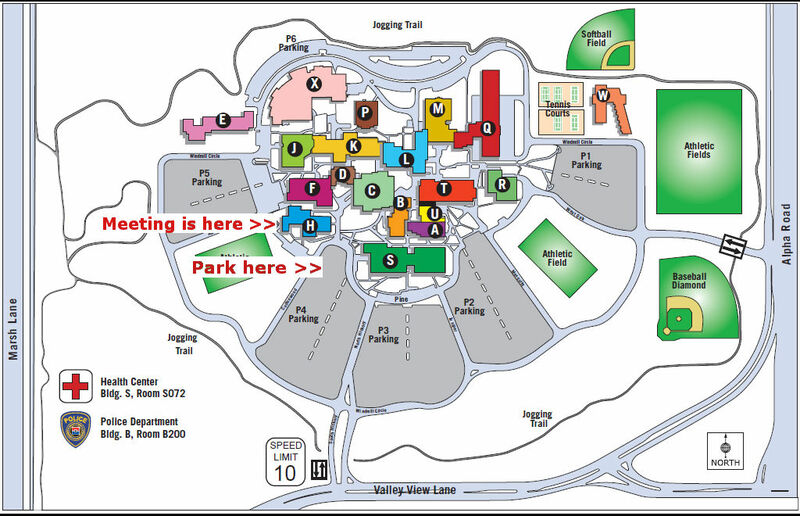 The roadmap of New York state will be very useful for you because it will give the best guidance in very low cost. You can download this map of New York and take a print. You can see all cities boundary with all roads in this State map of New York. 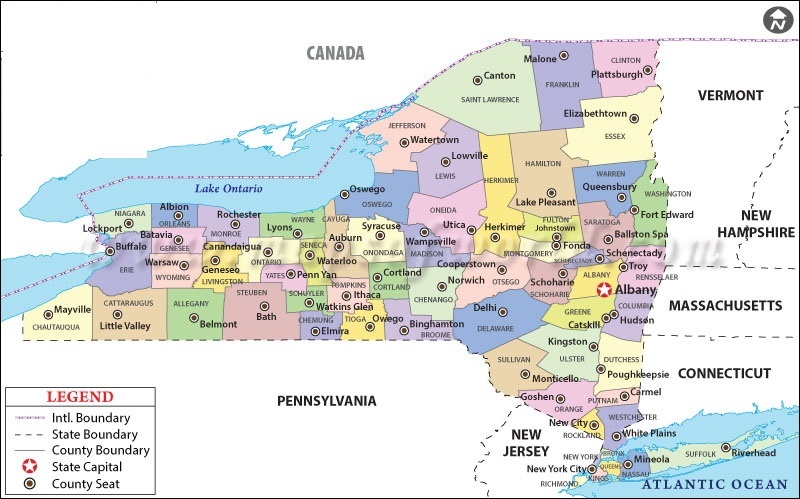 All cities of New York State has been given here with their boundaries. Road Map is the very important factor whenever you go for a trip, it always helps in navigation. It is also known as The Empire State and the capital of this city is Albany. 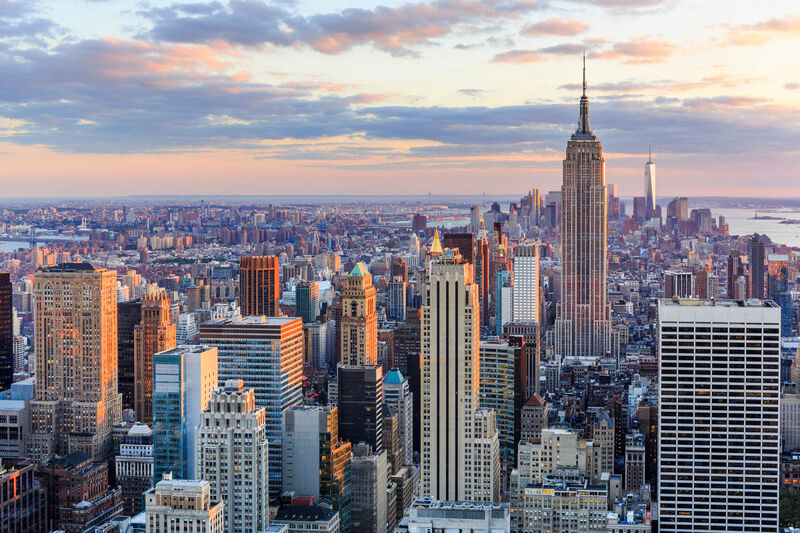 New York is the fourth most populous state of United State. It covers 54,555 square miles and ranks as the 27th largest state by size. 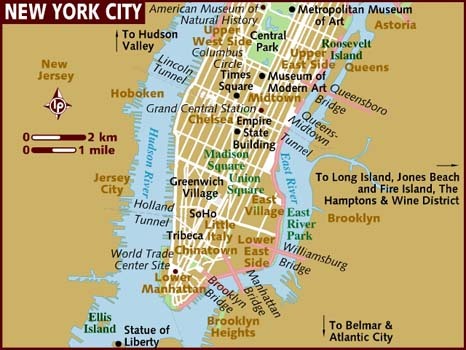 Here we are providing you some map of New York cities. New York city is the very famous city in the United States. 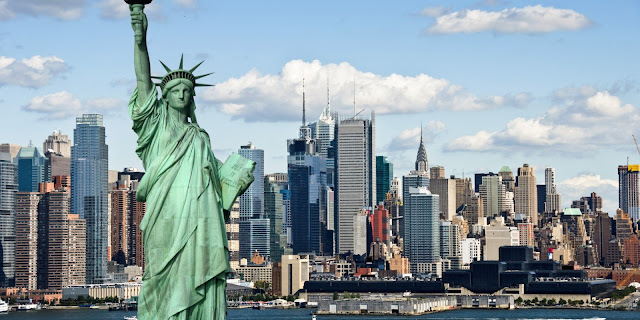 Most famous New York city attraction is Statue of Liberty which is located on Liberty Island in New York Harbor in New York City, in the United State. "The Statue of Liberty Enlightening the World" was a gift of friendship from the people of France to the United States.The copper statue, designed by Frédéric Auguste Bartholdi, a French sculptor, was built by Gustave Eiffel and dedicated on October 28, 1886. It is a universal symbol of freedom and democracy and It was designated as a National Monument in 1924. Many another point of interest are Empire State Building, Central Park, Metropolitan Museum of Art, Museum of Modern Art, Empire State Building, Top of Rock, Rockefeller Center, Chinatown, Little Italy, Madison Square Garden, High Line, Solomon R.Guggenheim Museum, Radio City Music Hall, Yankee Stadium, The Cloisters, Coney Island, Frick Collection, Governors Island, Brooklyn Museum, Liberty Island, Times Square, Bryant Park, 42nd Street, Bronx Zoo, Flatiron Building, Lower East Side Tenement Museum and Brooklyn Botanic Garden. 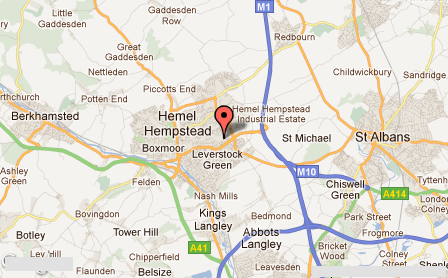 Hempstead has 495.5 km square area with population 759,757. Hunter Business School located here. Town of Hempstead is very peaceful and charming place having awesome weather. Different religions people lived here and speak the different language. The most popular beach, Jones Beach is located here. 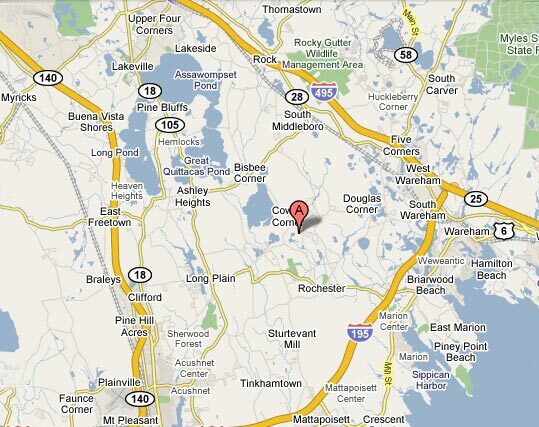 Brook Haven's area is 1,377 km square and the population of this city is approx 486,040. Thousands of the visitor come here to visit beautiful places that are Smith Point County Park, Cupsogue Beach County Park, Southaven County Park, Long Island Game Farm, Gateway Playhouse, The Pennysaver Amphitheater Artist Lake, Patchogue Lake, Flax Pond and many other places. 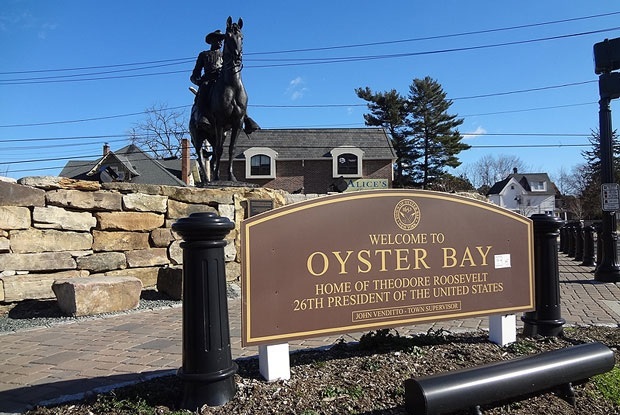 Sagamore Hill, Planting Fields Arboretum State Historic Park, Theodore Roosevelt Memorial Park, NYCB Theatre at Westbury, Tobay Beach, Massapequa and Raynham Hall Museum are some points to visit in Town of Oyster Bay. The population of this City is approx 293,214 and the area of this city is 439 km square. Rochester is famous for its visiting places. There are many visiting places like The Strong National Museum of Play, George Eastman Museum, Seneca Park Zoo, Seabreeze Amusement Park and Susan B.Anthony House. There are many colleges and universities which are University of Rochester, Rochester Institute of Technology, Monroe Community College, St. John Fisher College, William E. Simon Graduate School of Business Administration, St. Bemard's School of Theology and Ministry, Onondaga School of Therapeutic Massage-Rochester, Barleywood Female University and St. John Fisher College School of Law. The population of this city is around 210,358 and the area of this city is 96.1 km square. Many other visiting places are available here which attract the visitors towards it. 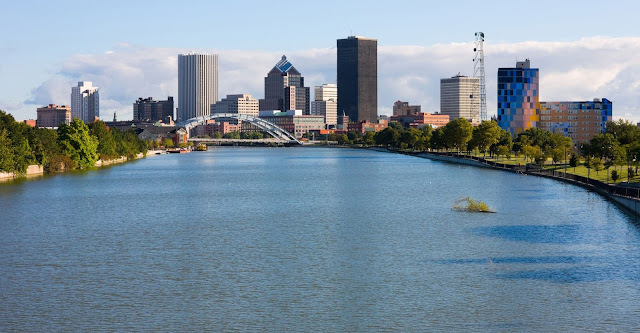 The map of Rochester with a beautiful picture is available here, you can see in this picture that how beautiful it is!